Most people are surprised when told how common unplanned childbearing is: 60 percent of all births to young, single women are unplanned. Why are so many women having trouble aligning their fertility behavior with their intentions? 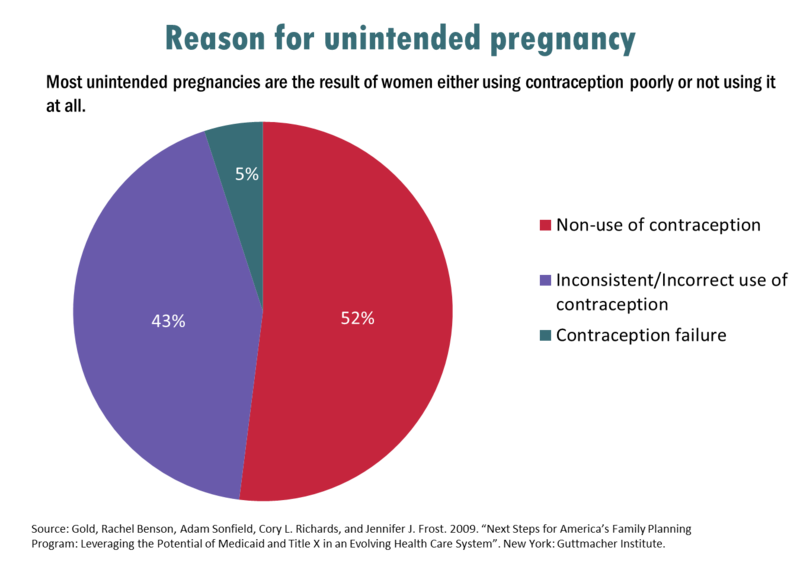 Most unintended pregnancies result from non-use or misuse of contraception. Only 5 percent of unintended pregnancies result from method failure. The most commonly cited reason for non-use of contraception among women who had an unintended pregnancy was : “I didn’t think I could get pregnant.” Women in the Fragile Families survey who had unintended births said something similar: “I simply wasn’t thinking.” A different study found that 44 percent of young women agree with the statement, “It doesn’t matter whether you use birth control or not; when it is your time to get pregnant it will happen.” Taken together, these surveys suggest that many young Americans are drifting into pregnancy, without much thought or understanding of the risks. Yet the five-year probability of a pregnancy using condoms is 63 percent, and for those using the pill, it is 38 percent. Unintended pregnancy rates are especially high among disadvantaged women – the poor, the less educated, and minority women. Given that so many women say they would like to wait longer before getting pregnant, why don’t those fertility goals become a reality? Simply put, humans are bad at self-control. We all make mistakes. 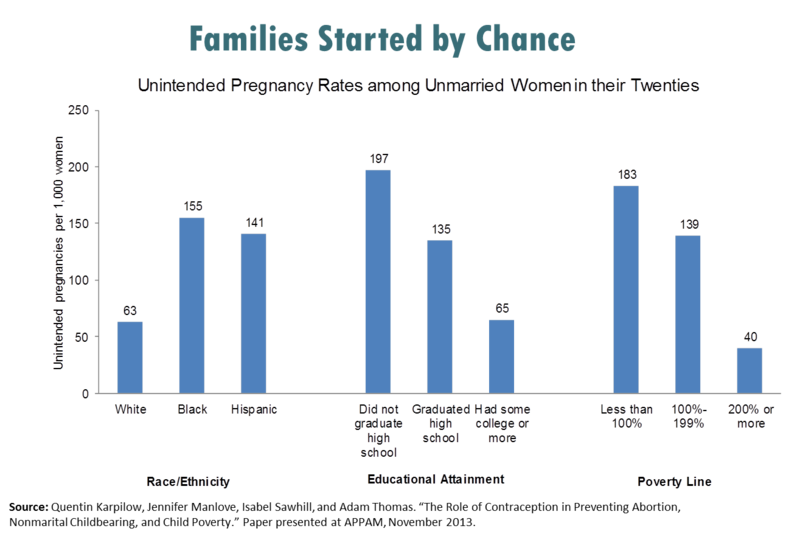 Those with fewer resources to fall back on probably make more mistakes, on average, which may be one reason the disadvantaged have such high rates of unintended pregnancy. It’s not just that the costs are less for them, given their limited future prospects, they also have more difficulty with planning, given the stresses in their lives. 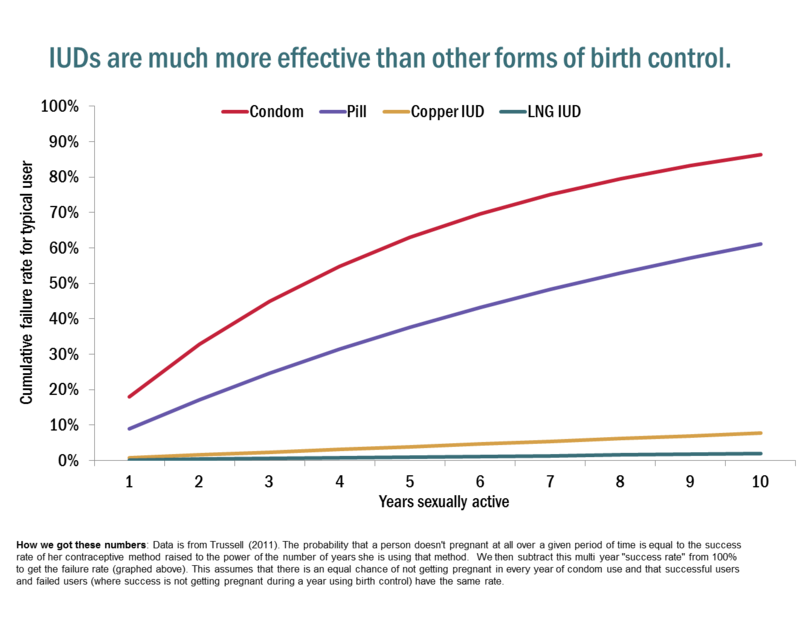 Using contraception consistently or correctly requires sophisticated knowledge, planning, and self-discipline. If we are concerned about the future of families, the solution is not to rush marriage but instead to slow down the decision to have a child and the kind of long-term commitment to another adult that is best for the child. We need to change drifters into planners. This will require a new ethic of responsible parenthood. The old norm was “don’t have a child outside of marriage.” The new norm should be “don’t have a child until you and your partner are ready to be parents.” By changing the default, LARCs make this new norm entirely feasible. Whether it will catch on among the youngest generation remains to be seen.